by Lifeboat Foundation Scientific Advisory Board member Zack Lynch. Society shapes and is shaped by advancing technology. To illuminate the important societal implications of the NBIC (nano-bio-info-cogno) convergence it is critical to place it within a broad historical context. History sharpens unique issues that require attention versus ones that have more obvious trajectories. By viewing history as a series of techno-economic waves with accompanying socio-political responses, it is possible to begin to understand how NBIC technologies will have an impact on society. Since the time of the Industrial Revolution there has been a relatively consistent pattern of 50-year waves of techno-economic change. We are currently nearing the end of the fifth wave of information technology diffusion, while a sixth wave is emerging with converging advancements across the NBIC (nano-bio-info-cogno) space, making possible neurotechnology, the set of tools that can influence the human central nervous system, especially the brain. Each wave consists of a new group of technologies that make it possible to solve problems once thought intractable. The first wave, the water mechanization wave (1770–1830) in England, transformed productivity by replacing handcrafted production with water-powered “machine-o-facture”. The second wave (1820–1880), powered by a massive iron railroad build-out, accelerated the distribution of goods and services to distant markets. The electrification wave (1870–1920) made possible new metal alloys that created the foundation of the modern city. The development of skyscrapers, electric elevators, light bulbs, telephones, and subways were all a result of the new electricity infrastructure. At the same time, new techniques for producing inexpensive steel emerged, revamping the railroad systems, and making large-scale construction projects possible. The fourth wave (1910–1970), ushered in by inexpensive oil, “motorized” the industrial economy, making the inexpensive transportation of goods and services available to the masses. The most recent wave, the information technology wave (1960–2020), has made it possible to collect, analyze, and disseminate data, transforming our ability to track and respond to an ever-changing world. Driven by the microprocessor’s capacity to compute and communicate data at increasingly exponential rates, the current wave is the primary generator of economic and social change today. The nascent neurotechnology wave (2010–2060) is being accelerated by the development of nanobiochips and brain-imaging technologies that will make biological and neurological analysis accurate and inexpensive. Nanobiochips that can perform the basic bio-analysis functions (genomic, proteomic, biosimulation, and microfluidics) at a low cost will transform neurological analysis in a very similar fashion as the microprocessor did for data. Nano-imaging techniques will also play a vital role in making the analysis of neuro-molecular level events possible. When data from advanced biochips and brain imaging are combined they will accelerate the development of neurotechnology, the set of tools that can influence the human central nervous system, especially the brain. Neurotechnology will be used for therapeutic ends and to enable people to consciously improve emotional stability, enhance cognitive clarity, and extend sensory experiences. Techno-economic waves have pervasive effects throughout the economy and society. New low-cost inputs create new product sectors. They shift competitive behavior across the economy, as older sectors reinterpret how they create value. New low-cost inputs become driving sectors in their own right (e.g., canals, coal, electricity, oil, microchips, biochips). When combined with complementary technologies, each new low-cost input stimulates the development of new sectors (e.g., cotton textiles, railroads, electric products, automobiles, computers, neurofinance). Technological waves, because they embody a major jump up in productivity, open up an unusually wide range of investment and profit opportunities, leading to sustained rates of economic growth. New Industries: As brain imaging advances, neuromarketing will become a significant growth sector as the trillion-per-year advertising and marketing industries leverage brain scanning technology to better understand how and why people react to different market campaigns. Neurotechnology will also have an impact on education. As more people live longer and global competition intensifies, people will need to learn new skills throughout their lives. Regulated neuroceuticals represent the tools workers will use to succeed at continuous education. Adult “neuroeducation” will emerge as a significant industry, teaching individuals how to leverage neuroceuticals to acquire knowledge faster. Using cogniceuticals to increase memory retention, emoticeuticals to decrease stress, and sensoceuticals to add a meaningful pleasure gradient, neuroeducation will allow people to acquire and retain information faster. Imagine learning Arabic in one year rather than ten, or calculus in eight weeks. New Products: For example, neuroceuticals that can temporarily improve different aspects of mental health will become possible. Unlike today’s psychopharmaceuticals, neuroceuticals are neuromodulators that have high efficacy and negligible side effects. By being able to target multiple subreceptors in specific neural circuits, neuroceuticals will create the possibility for dynamic intracellular regulation of an individual’s neurochemistry. Neuroceuticals will be used for therapy and improvement. Neuroceuticals can be categorized into three broad groups  cogniceuticals that focus on decision-making, learning, attention, and memory processes; emoticeuticals that influence feelings, moods, motivation, and awareness; and sensoceuticals that can restore and extend the capacity of our senses, allowing people to see, smell, taste, and hear in different ways. Competitive Advantage: Mental health is the ultimate competitive weapon. Mental health underpins communication, creativity and employee productivity. Individuals who use neurotechnology to understand how their emotions affect their financial decisions will become more productive and will attain neurocompetitive advantage. Neurotechnology-enabled traders will be equipped with emotional forecasting systems that provide them with real-time neurofeedback on their expected emotional bias for a given trade. To further reduce forecasting error, hormone-triggered emoticeuticals will keep traders from entering “hot” states, where they are known to make less accurate decisions. While some countries may choose to ban them, performance-enabling neuroceuticals will emerge as significant productivity tools. Public Policy: Neuroethicists are already confronting issues of brain privacy and cognitive liberty. As the competitive edge provided by neurotechnology becomes apparent, the ethical debate will evolve into a discussion of the right to enable individuals to use these new tools to improve themselves vs. uneven access to what others will describe as unfair performance improvement. In the legislative arena the competitive necessity of using these new tools will cause great concern over whether or not they will be required in order to just compete in tomorrow’s global economy. Mental Health: Today, five of the ten leading causes of disability worldwide  major depression, schizophrenia, bipolar disorders, substance abuse, and obsessive-compulsive disorders  are mental issues. These problems are as relevant in developing countries as they are in rich ones. And all predictions point toward a dramatic increase in mental illnesses as people live longer. New treatments for mental disorders are driving neurotechnology’s early development. By 2020, biochips will have radically altered the drug development process, reducing the time to develop new therapies from 15 to 2 years while slashing the cost of drug development from $800 million to $10 million. In addition, entirely novel ways to treat disease at the molecular level will extend life expectancy and improve mental health. New Behaviors: Because our mental perspective slants our thinking, self-reflection and recollection of events, even a slight shift in human perception, will alter how people learn, feel, and react to personal problems, economic crises, and cultural rhetoric. When humans can better control their emotions, how will this affect personal relationships, political opinion and cultural beliefs? When we can enhance memory recall and accelerate learning, how will this influence competitive advantage in the workplace? As we can safely extend our sense of sight, hearing and taste, what might this mean for artistic exploration and human happiness? Patterns in the Location of Production: India and China will likely develop regional clusters of neurotechnology firms as political and cultural views on human testing create the necessary conditions for technological experimentation and development. By viewing recent history as a series of techno-economic waves ushered in by a new low-cost input, it is possible to see that neurotechnology will lead to substantial economic, political, and social change. Building on advances in brain science and biotechnology, neurotechnology, the set of tools that influence the human brain, will allow people to experience life in ways that are currently unattainable. Neurotechnology will enable people to consciously improve emotional stability, enhance cognitive clarity, and extend sensory experiences. 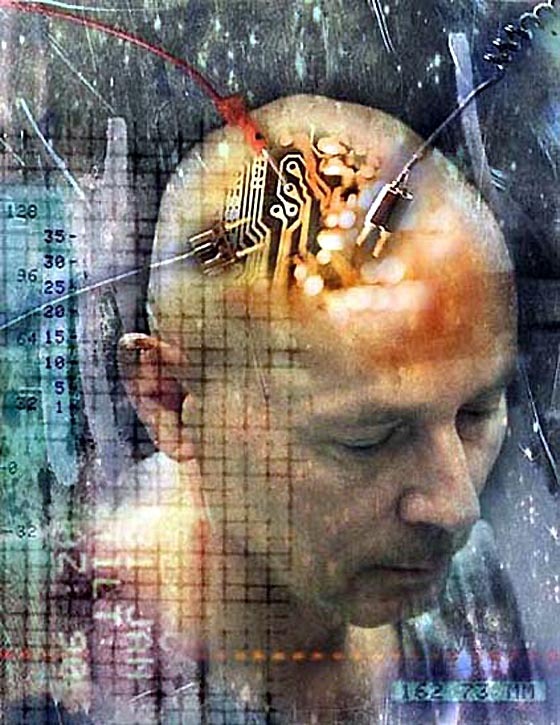 As people begin to experience life less constrained by one’s evolutionarily influenced brain chemistry, neurotechnology will give rise to a new type of human society, a post-industrial, post-informational, neurosociety.